One of the most important things you can do for your child if you want him or her to be successful in math is to give them the words they need to describe mathematical thinking. This could be as simple as asking your child to count for you on a daily basis, or by having conversations about different sizes or quantities when you are cooking in the kitchen. Modeling this sort of language and connecting it with mathematical concepts will aid in your child being open to math and having a much better understanding of it in the future. One of the main reasons children struggle with math so often has to do with how abstract it is. While it may be tempting to just have your child count from time to time, you need to make sure that they are familiar with quantities as well. 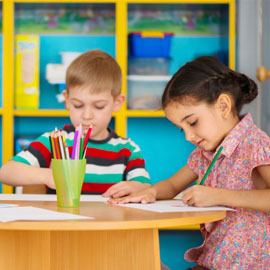 While your preschooler or kindergartener may be able to count to 20, they may not know that 11 is more than 10 when it comes to physical quantities. Kids are smart and they can memorize things like you wouldn’t believe. This means that when they are “counting” for you, they could just be repeating a string of words that they have memorized in an order without any idea of what they actually mean. 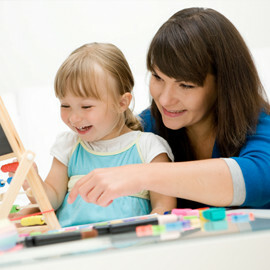 Shapes can be very beneficial to a child grasping concepts of math. On the other hand, many parents will just ask their child to name specific shapes. We would not suggest this. Instead, help your child to understand shapes on a deeper level by showing them not only which shapes are which, but how those shapes fit together, as well as what the difference between two and three-dimensional shapes are. Additionally, you can ask your child to point out specific shapes throughout the day to further help them with these ideas. If you want your child to be successful, and not struggle with math as he or she progresses through school, it’s important to start now. 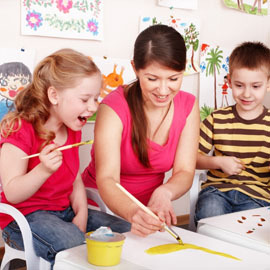 First Class Child Development can help when you enroll your child today. We will use the tactics mentioned in this post, as well as additional ones to ensure your kid feels ready to succeed in every math class they enter from now on.